Your Newport Beach accident injury law office will want you to make the best impression possible at your deposition. It’s a chance for the defense to see how present yourself, so it’s important to make a good impression. 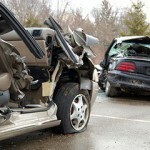 Your Newport Beach accident injury law office can help. There are a few key things to keep in mind before you enter your deposition with your Newport Beach accident injury lawyer. Dress like you would dress in court or in front of a jury; this means clean, pressed and as if you’re going on a job interview. Be moderate in your appearance; don’t wear anything flashy or items that will attract too much attention. Hair, makeup, and clothes should be understated and not too tight. In addition, too much jewelry can also convey a negative impression. A deposition is not about expressing your personal flair but rather conveying that you are credible and trust worthy. If you’re not sure what to wear, it’s a good idea to consult with your Newport Beach accident injury law office. Your demeanor is also important. Treat everyone present with respect and politeness. Be prepared to exhibit any injuries that you have suffered in relation to the case. Make sure you have organized your thoughts and can clearly recall and explain the facts. Make sure you can explain the damages and impact your injuries have caused. Keep in mind that this is a serious and important occasion and not a time to be overly casual or friendly with opposing counsel or his or her client. You and your witnesses at the deposition will be subjected to a plethora of complex or vague questions by the opposing lawyer. To avoid being caught off guard by the opposing attorney’s aggressive questions, you should educate yourself on the following 13 tactics for answering complicated questions in court.